A study published recently in the Society & Animals journal looked at how human beings relate to rats of different types: “sewer” rats, “lab” rats and “pet” rats. The positive and negative aspects of these interactions depend upon the settings in which they occur, and serve as an example of how human-animal relations can be complex and contradictory. How we think about animals is foundational to how we treat them. Beumer emphasizes the idea of “situated practice” to help understand the very different forms of human-rat relationships seen throughout history. 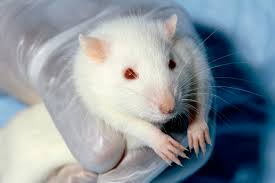 That variability is possible because any particular human-rat relationship is a “practical accomplishment.” The “lab rat,” the urban rat, and the fancy rat are enactments or constructions. This way of thinking about the nonhuman animal part of human-animal relationships can be contrasted with two others: the essentialist view that the inherent features of rats and other animals are determinative, and the opposite view that animals are putty in our hands, shaped to meet our own needs. For Boemer, the forms of relationship are shaped by situated practices in which both parties of the relationship are actors or agents. This way of thinking about other animals, while not promising it, can be a platform for their more respectful and less exploitative treatment. Beumer, K. (2014). Catching the Rat: Understanding Multiple and Contradictory Human-Rat Relations as Situated Practices. Society & Animals, 22, 8-25.